Pallet to Store Lawn and Garden EquipmentIf you have a yard or a garden, you know that there are a lot of long-handled tools involved. You probably also know how obnoxious it is when you need the shovel or the rake and have to walk all over to find it.You could easily attach this pallet to a fence, shed or to the exposed wall studs in your garage. No matter what you choose, you'll want to make sure that your screws are long enough to go through both your pallet and the wall you are attaching it to. We drilled two screws into the pallet, one into each exposed wall stud. You won’t need a ton of screws or nails because the pallet isn’t all that heavy. Now you have a quick and free way to store your lawn tools!Looking for more ways to work smarter in your workshop? Take that six-pack beverage carrier and turn it into a desktop organizer. You'll need some duct tape, Mod Podge, a sponge brush and scrapbook paper to decorate. 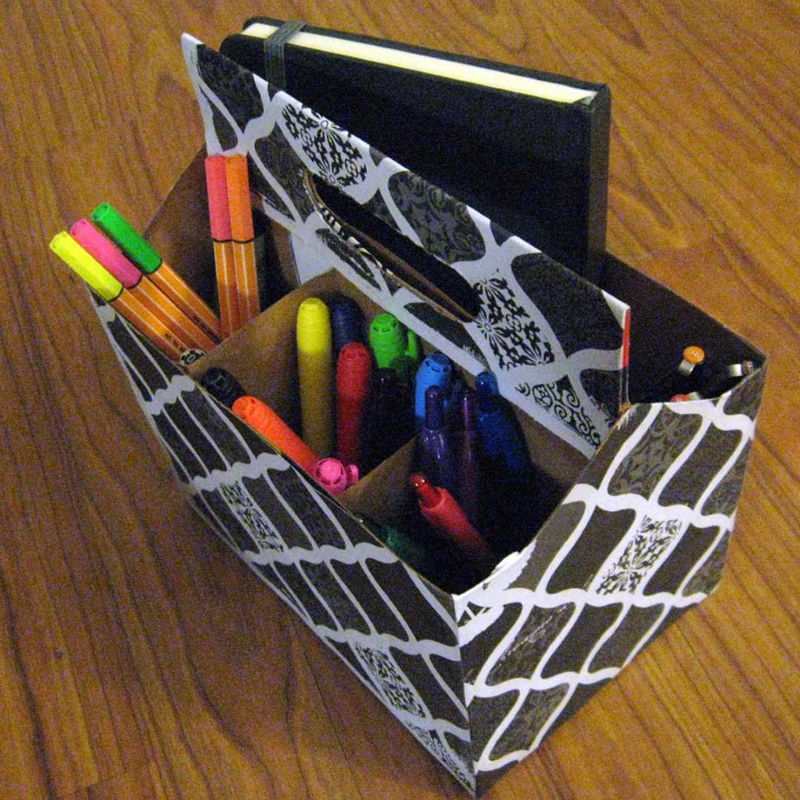 Use it to store pencils, pens, Crayons and markers. Why pay for a fancy compartment-style shoe storage container when you can just pick one up for free at almost any store that sells wine? Designed to protect fragile glass bottles, a wine box is perfect for storing footwear because it comes equipped with cardboard dividers—a place for each shoe! In addition, the exterior cardboard is very sturdy, again to keep wine bottles from breaking, but also great for protecting your kicks in storage.You could get fancy, too, and paint or cover the exterior of the wine box with decorative wrapping paper if you plan to keep it in your closet or entryway. 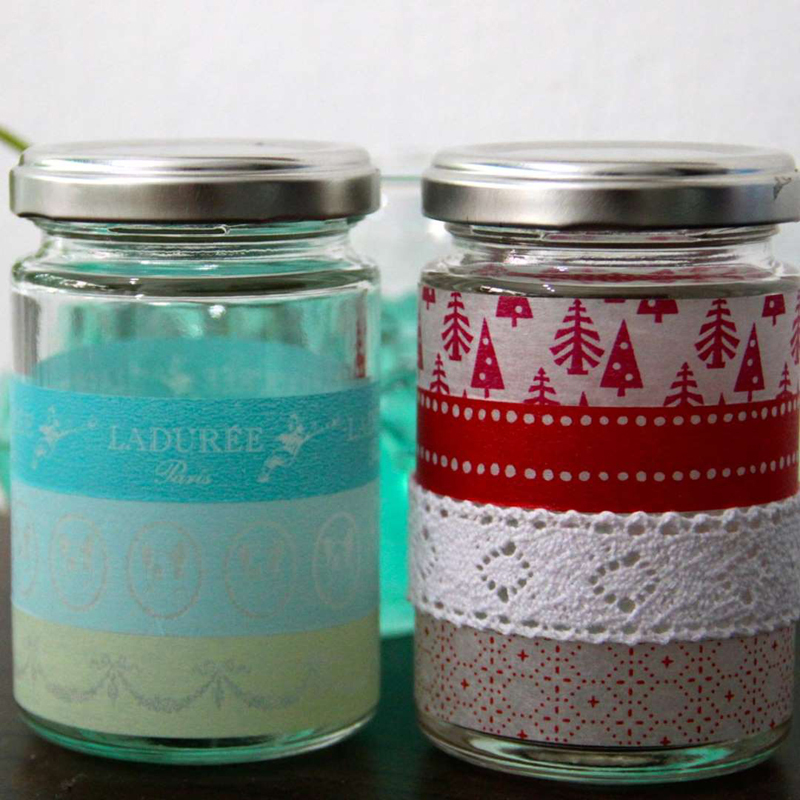 Whether it's an empty pickle jar, candle jar or pasta sauce jar, clean and rinse it out and wrap it with some pretty fabric. Use glass jars to store bathroom items such as cotton balls and Q-tips, along with small craft supplies. 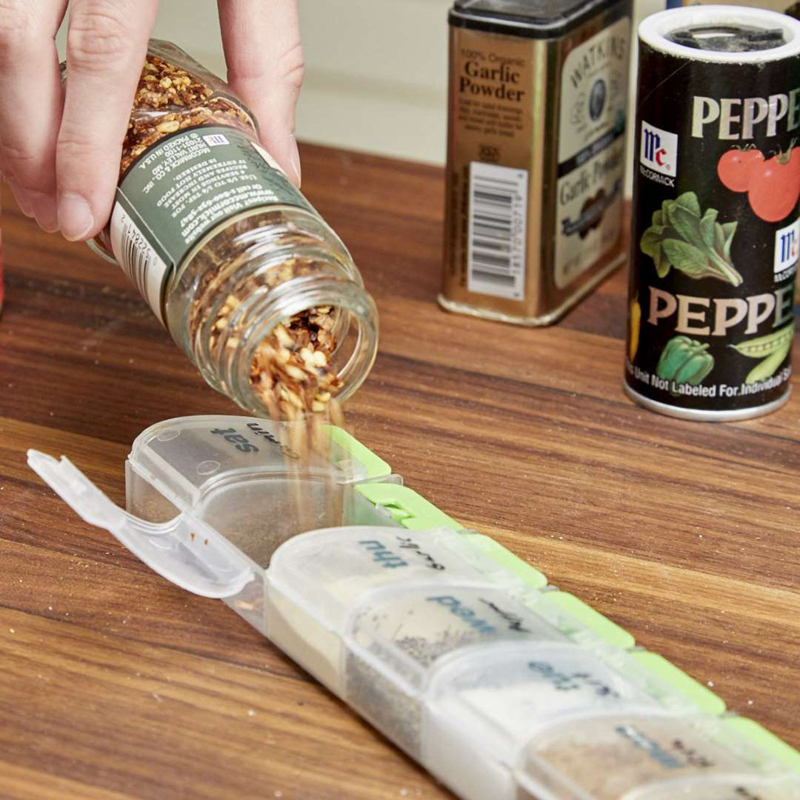 Take that empty Pringles can, rinse it out and turn it into a storage container. When it's dry, take some glue and scrap or wrapping paper and decorate it. 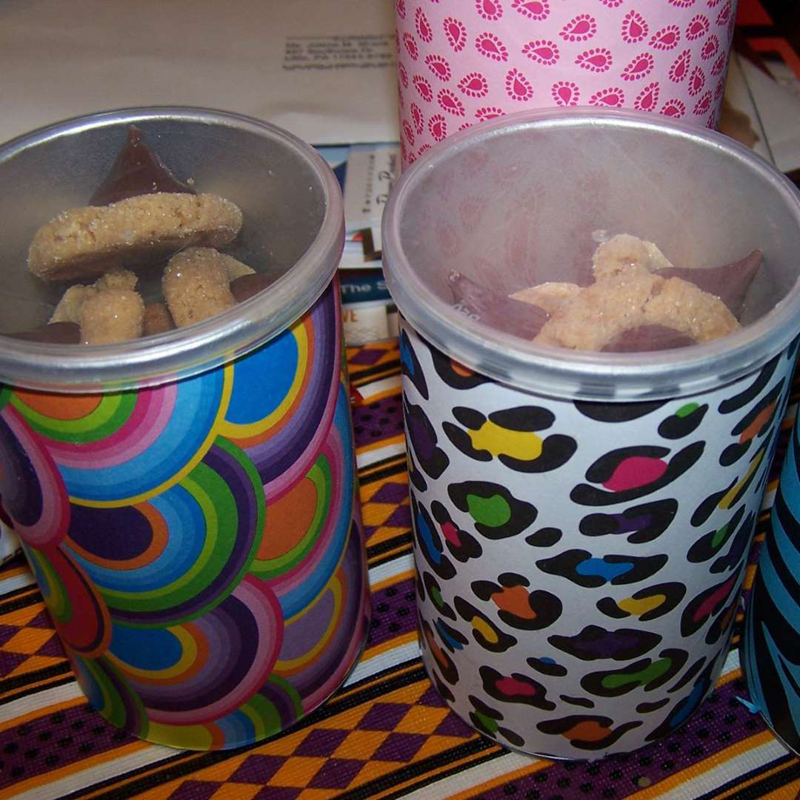 Use it to store cookies and homemade snacks. In today's high-tech homes, keeping track of small cords can be challenging. Almost every electronic device has a cord that goes with it: cameras, smartphones, computers and the list goes on. 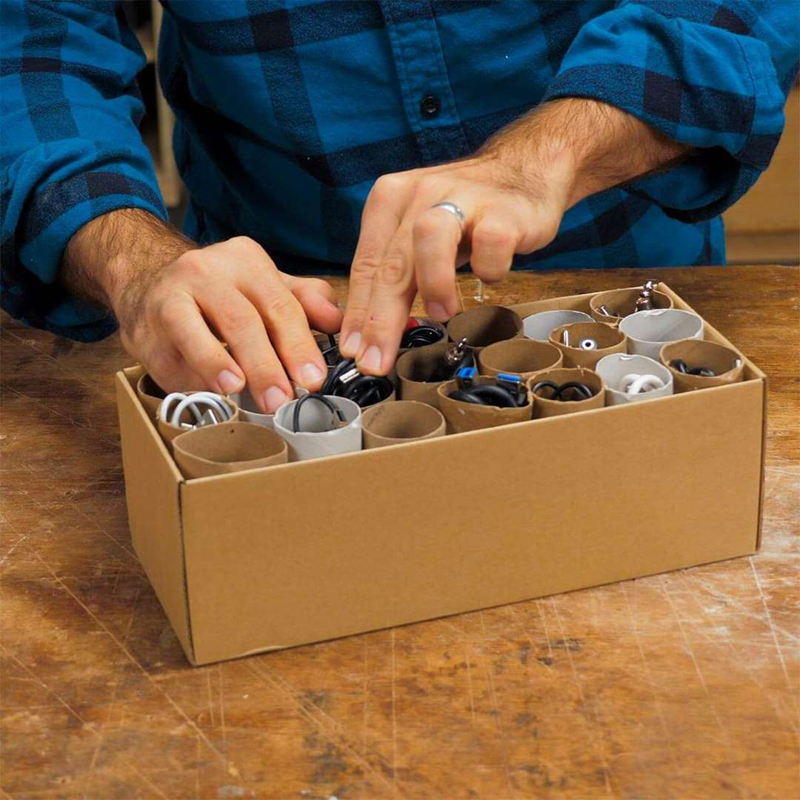 Rather than tossing them in various drawers throughout your house, where they can get tangled or forgotten, try this simple and inexpensive solution.Find a small box (a shoe box works perfectly) and fill it with as many empty toilet paper rolls that will fit vertically. Then place a single cord in each toilet paper roll. Next time you need one of your small cords, you'll know where to find it, and it’ll be free of tangles! 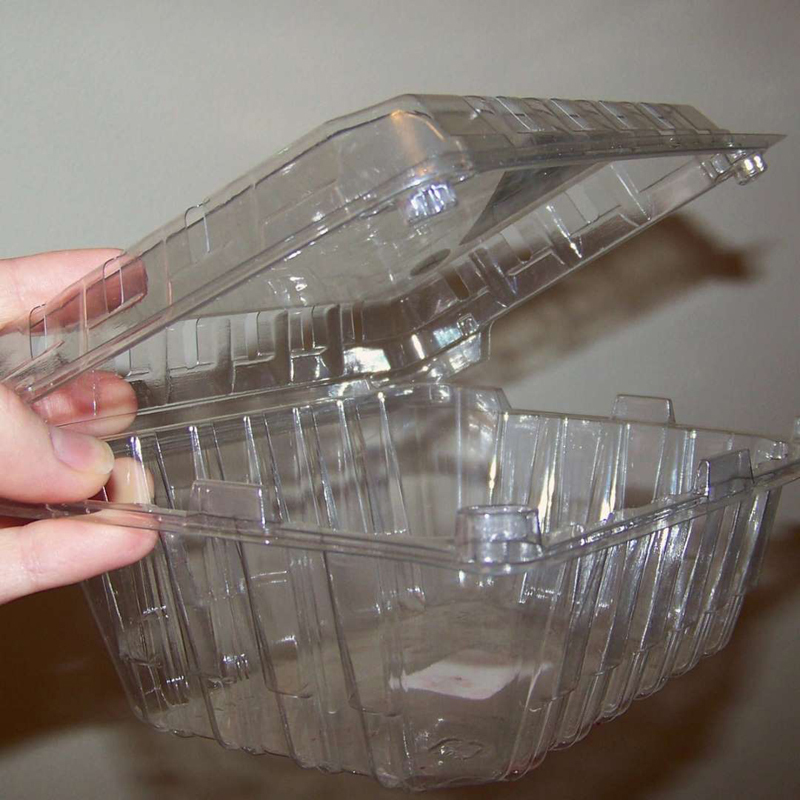 If you purchase berries or small tomatoes at the grocery store, you likely have those plastic clamshells in your recycle bin. Wash them out and use them to store sewing or craft supplies, homegrown produce from your garden or use them as a sandwich container in your lunchbox. 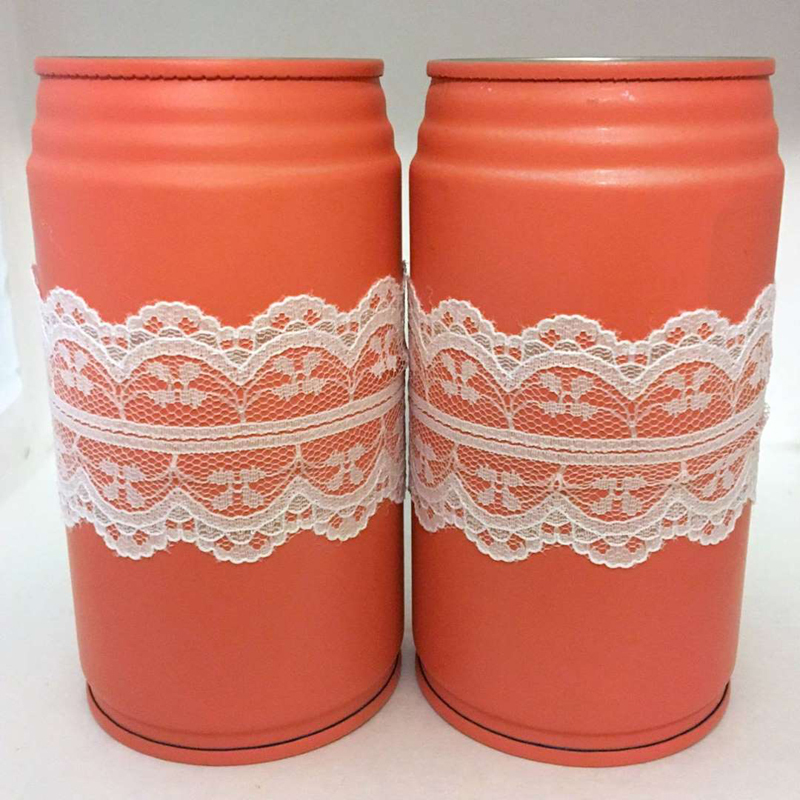 Wash out those empty cans, remove the tops with a can opener and decorate the cans with paint and some pretty fabric or trim. 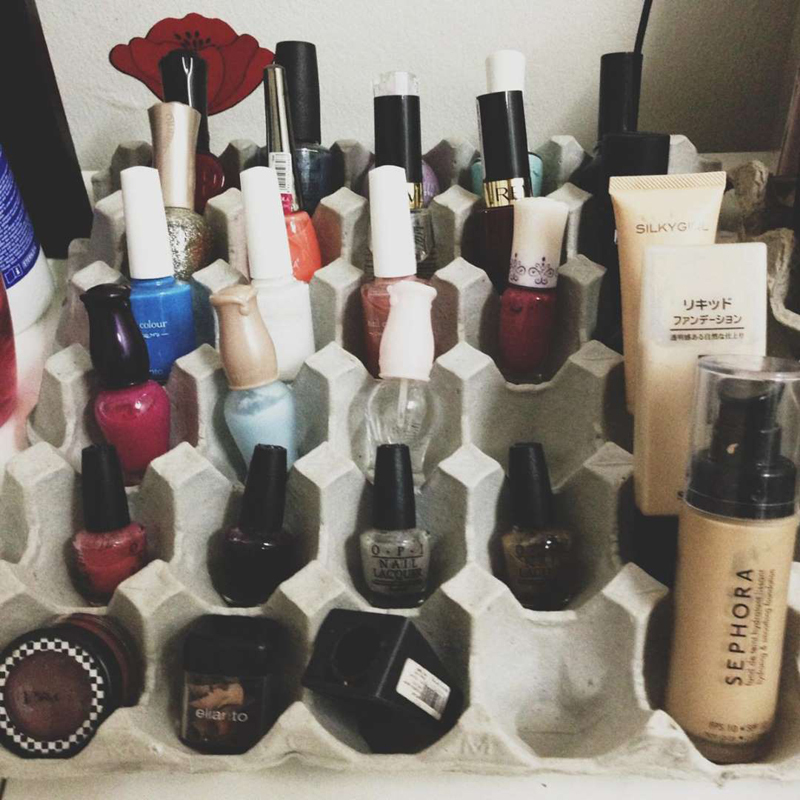 Use them for desktop organization, to hold makeup brushes or even as a small vase. 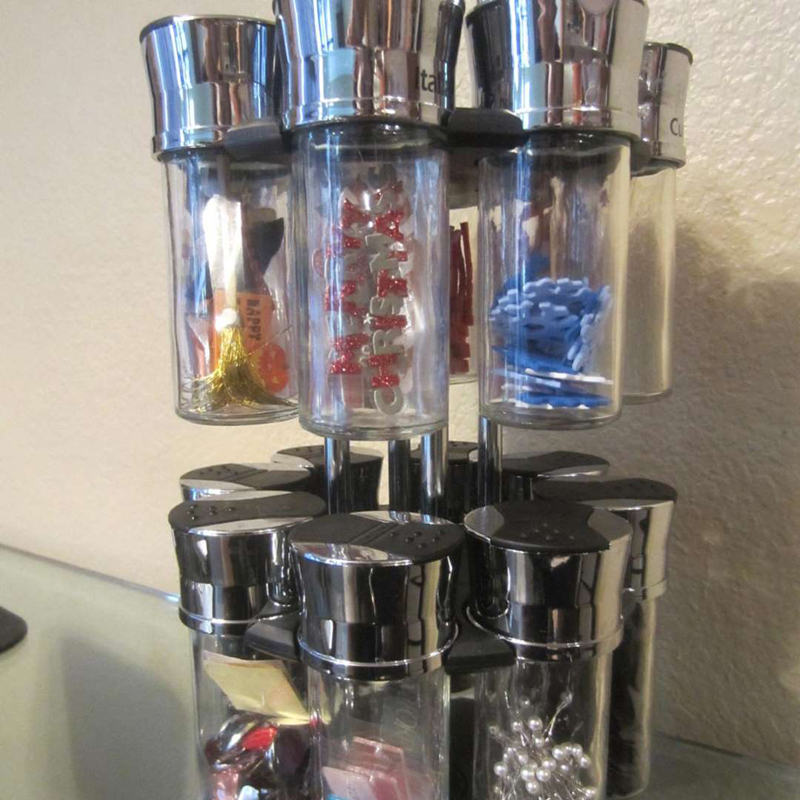 Yes, those empty plastic drink mix containers can have a new life. 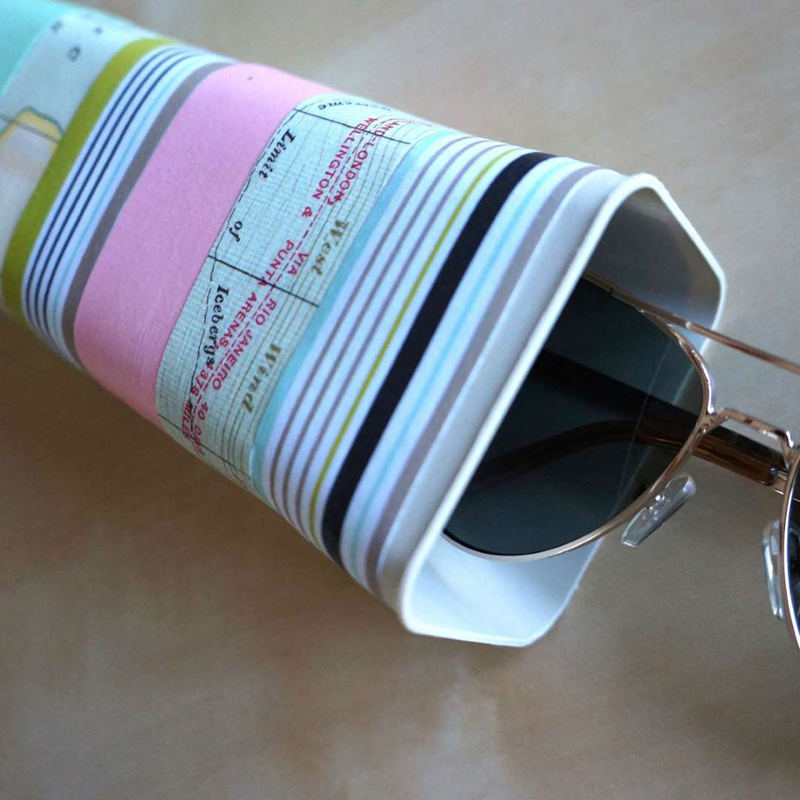 Rinse them out and use some decorative paper, Mod Podge and paint to create a storage container for your sunglasses, small lap crafts or a holder for loose purse items such as lip balm, a small packet of aspirin and a small tube of sunscreen. 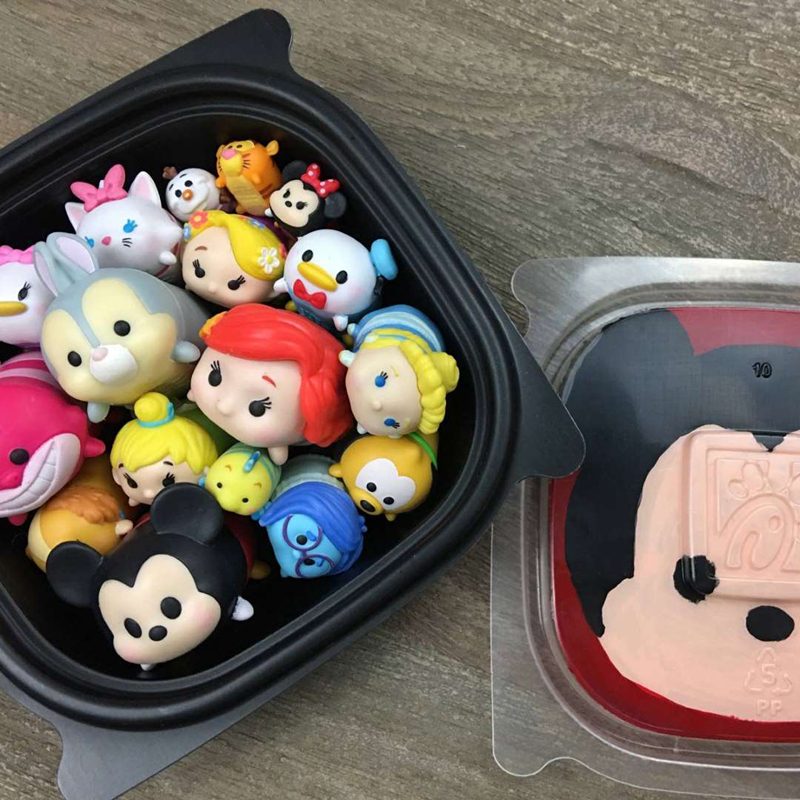 If you use detergent pods, there are lots of ways you can use the container they come in. 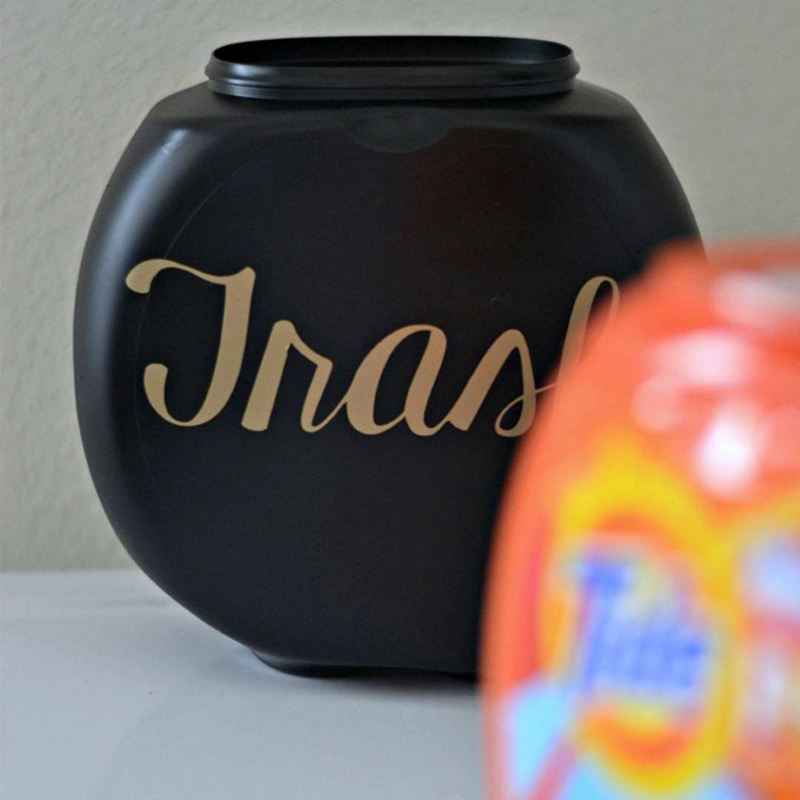 Decide if you want the lid on or off, paint the container and label it 'Trash,' 'Legos,' 'Plastic Bags' or whatever else needs organizing.